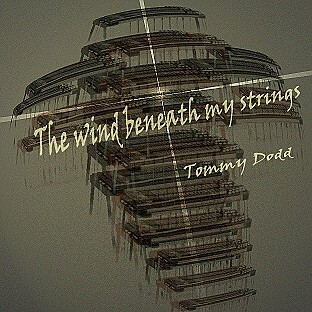 Even though I've recorded quite a bit over the years, not until my Dad passed away did I do a solo instrumental album. He had asked me to do one several times, but I always thought it was too much of an "ego trip", and refused his request. The first album I produced was done on cassette in 1993. 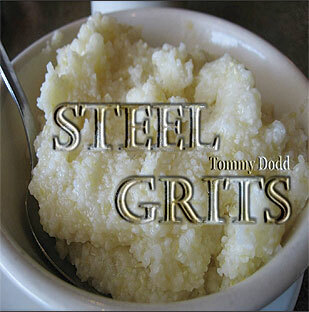 "Tommy Dodd's Picks" is dedicated to his memory. As you can see I've continued doing what he asked me to do, many times over, and I've enjoyed the thought that he would be happy with what I've done. Thanks for listening to the selections below. I hope you hear something you really like. As I grow older in life - and, in my music - I find it interesting and fun to look back at some of the changes music has made over the years. The music we once considered to be Rock n' Roll may now be thought of as "Alternative Country". The same can be said for yesteryear's Pop tunes that seemed to have crossed over as Traditional Country. The lines dividing music genres have narrowed, and sadly much of the traditional country styles of the past are slowly disappearing. In researching material to include on this CD I chose music of several different genres. 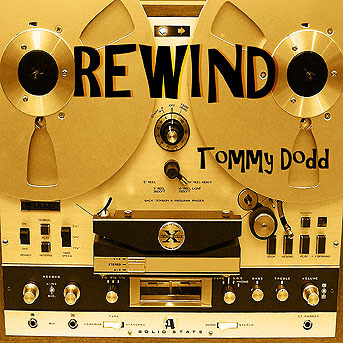 REWIND is my musical reflection of some great old tunes (and a couple of re-dressed newer ones too). Hopefully you'll see one of these songs that sparks a memory, or a feeling, and want to hear it played by the pedal steel. My exposure to religous and gospel music began in the early years living with my family. After college, I began working as a recording studio steel guitarist at Mark Five studios in Greenville, South Carolina. While there, I was very fortunate to work with some of the top Southern Gospel quartets and many contemporary artists of the time. The songs on this CD are a collection of my memories and reflect my emotional attachment to the messages contained in the words behind each one. The songs included are: What A Friend We Have in Jesus, In the Garden, I'll Fly Away, How Great Thou Art, Lighthouse, Softly & Tenderly, Family Bible, Old Rugged Cross, Are You Washed in the Blood/When the Roll is Called up Yonder. Sweet Memories, Rose Garden, and You Belong to Me. 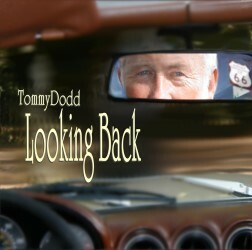 Looking Back was recorded and completed in early 2006. This CD has a great selection of tunes I never got to play on steel back when they were in their prime. But, time has been good to them and today you'll find most of these tunes are still on the "baby boomers" hit parade. Songs included are: Route 66, If I Fell, Windy, Will You Still Love Me Tomorrow, Happy Together, I Don't Know How to Love Him, New Kid in Town, Tears In Heaven, Then You Can Tell Me Goodbye, and Spinning Wheel. 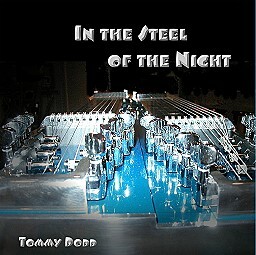 In the Steel of the Night is an album of songs that I have been performing at steel guitar shows and conventions around the country. These are great gatherings for promoting the sounds of steel guitar in all forms and styles of music. This album provides the listener a wide variety of musical backgrounds to enjoy. Songs included are: Dance With Me, Georgia on My Mind, Under the Boardwalk, Sleepwalk, Highway 40 Blues, End of the World, Presence of the Lord, City Lights, Somewhere Out There, and Hold It. Three of a Kind is a compilation of what I feel is my best offerings from my first three projects. 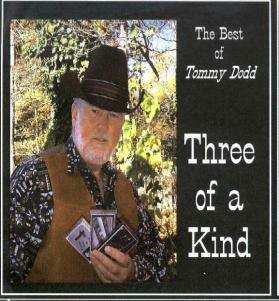 (Tommy Dodd's Picks and Pickin on Vince) were not available on CD format. Now you can have the best of both those albums, plus select tunes from the Garth Brooks CD as well. Included on the album are: Under the Double Eagle, What a Wonderful World, Oklahoma Swing, When I Call Your Name, High Lonesome Sound, Danny Boy, Friends in Low Places, Girl from Ipanema, Look at Us, Secret Luv (my way), Somewhere Other then the Night, Liza Jane, Pocket Full of Gold, Love Letters in the Sand, Old Rugged Cross, I'm so Lonesome I Could Cry, Workin' on a Full House, We Shall be Free, Rocky Top, and On The Road Again. 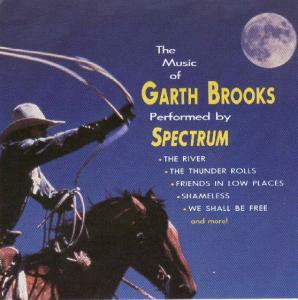 Spectrum is a group of studio musicians brought together to produce this collection of Garth Brooks hits. Again, the direction was to play very close to the melody so there's not a lot of hot-licks here. The tunes included are: Every Now & Then, Somewhere Other than the Night, The River, Thunder Rulls, Two of a Kind, Papa Loves Mama, Friends in Low Places, That Summer, Shameless, and We Shall be Free. 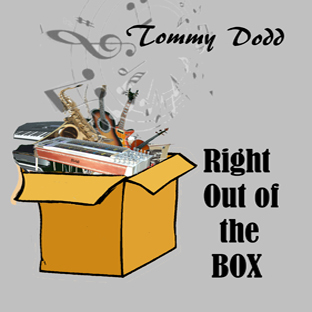 Tommy Dodd's Picks is a more traditional type instrumental album. The rhythm tracks were computer generated and only two live musicians are present. Other than myself, the other live player was a fantastic guitar player by the name of Bill Hatcher. The tunes on this album include: On the Road Again, Danny Boy, Under the Double Eagle, The Rose, Secret Love, Love Letters in the Sand, I'm So Lonesome I Could Cry, Rocky Top, Old Rugged Cross, What A Wonderful World, & Girl from Ipanema. Tommy Picks On Vince is a very simplistic type album. It was originally recorded for mass distribution and, therefore, I had to stay very close to the melody lines with the steel. Of course, lots of Paul Franklin and John Hughey type licks. Songs included: Never Alone, Look at Us, Liza Jane, When I Call Your Name, Pocket Full of Gold, and five more Vince Gill hits.